Morning stars twinkled, scattered across the windshield whisked by winter’s wand, all teeth chattering complaints about the 1°F temperature halted as we sat in the car a moment recognizing the mysterious nature of blessing. Frost is so magical, isn't it? The photgraphs are just beautiful Laura and your words the perfect compliment to them. Wishing you happiness all day long and into the night. 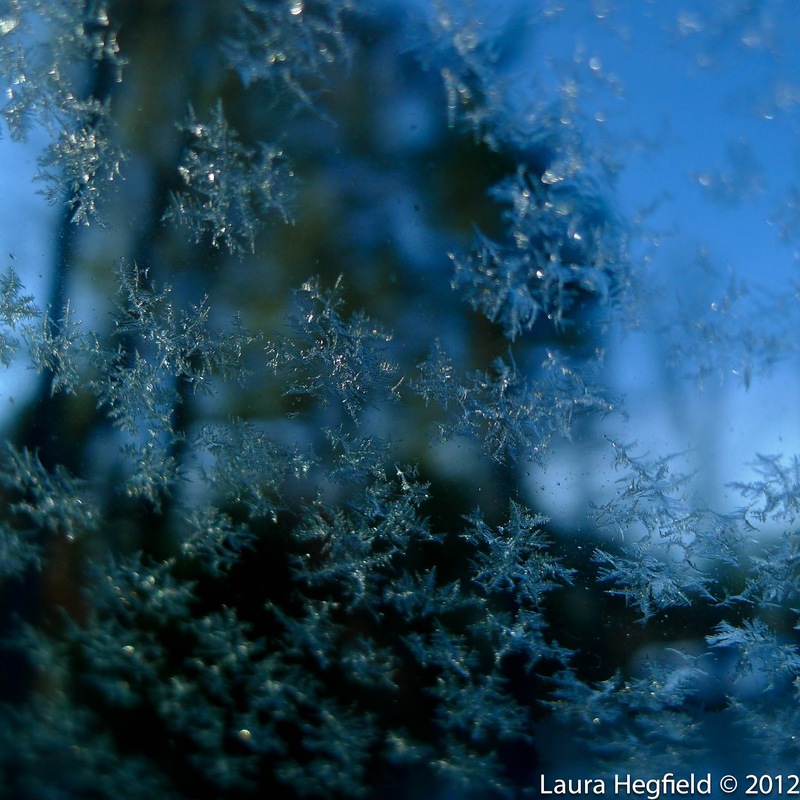 There is always something magical about the patterns in frost, isn't there? Hate such low temperatures, but your pictures are so beautiful! Every season has it's own beauty. You illustrated that wonderfully, with your photos and words. Pure magic Laura! Isn't nature the greatest artist? "the mysterious nature of blessing" - this is so true, and too often forgotten. Thank you. Beautiful colors and gorgeous captures of the frost. Well done! A great post, Laura. As I child, I'd breathe on frosted windows to clear them. As an adult, I do what you do: take out my camera! 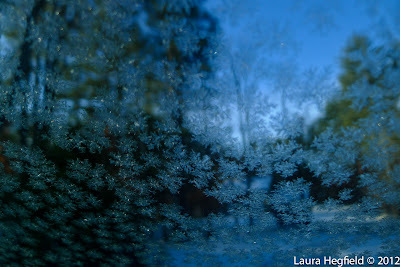 wow what an awesome capture of the frost..it is lovely...and your passage as well...hope you are good as well...smiles. I love the moment when, after all the fussing, we realize the blessing! Beautiful! Nature's paintbrush leaves me in awe daily. This is lovely ! Wishing you a joyous Thursday ! Raised on a farm at a high altitude, winter would come suddenly, ice crystals cracked through the windows and outside, hung the most amazing 10 foot icicles. A winter wonderland our children will never know. Your photos and prose took me back to this time. Magical photos, and a magical stone to go with them! Better than any paper snowflake. Mystical, magical frosty. Beautiful. A treat for the eyes.